While thumbing through various tourist brochures from Palm Springs, Phoenix and Tucson, the golf ads quickly caught my attention. There are stunning pictures of PGA courses, such as TPC Scottsdale, PGA West in La Quinta and Arizona National in Tucson. The average golfer, on a weekly basis, can not afford to play these courses. They average $150 to $200 per round. As for ability, 90 per cent of golfers cannot break 100, particularly on a PGA course following USGA Rules. For the record, Pebble Beach in California has the most expensive daily rate of $495 for a round of golf. For those of us who are golf fanatics, there are other less expensive options. Throughout southern California and Arizona, there are numerous RV parks which have on-site golf courses. These include par three, executive and championships courses. They tend to be very playable as well as affordable. The following are but a few examples. The Sands RV and Golf Resort in Desert Hot Springs, California, is a good RV park with an executive golf course. In Yuma, Arizona, stay at Cocopah Bend and Golf Resort, which has a full course. In Casa Grande, stay at Palm Creek Golf and Resort. Tucson has the Voyager Resort, ranked the number one RV resort in the nation, and has a par three golf course. There is something for everyone—and within a reasonable budget. Each winter we spend a month in Tucson at the Cactus Country RV Resort. Although they do not have an attached golf course, they do have a golf club. When you sign up, select between an executive course or a regular course, both at reduced rates. 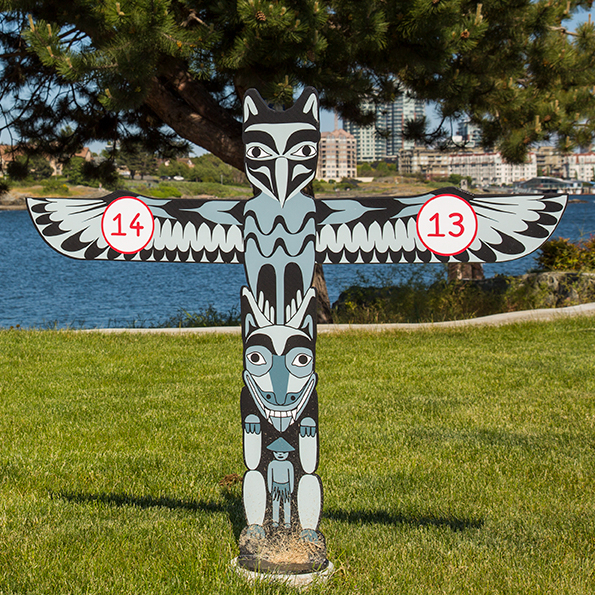 Some golf courses have discount deals for those staying at specific parks. Other courses sell a punch card, again at reduced rates. Also, check out Discount Tee Times and GolfLink.com, as booking online is always cheaper. Other places where you can combine RVing and golf is in Wickenburg, Arizona. Boondock in the Vulture Mountains—just down the road is an excellent course, Los Caballeros. Near Goodyear, stay at the Estrella Mountain Regional Park and select from two Estrella courses. In Tempe, stay at the Apache Palms RV Park and play Arizona State University [ASU]. This is a public golf course on the university campus. Phil Mickelson, who won three NCAA Championships, is a famous ASU Alumni. Everyone has different tastes in golf courses. Some of my favourite courses include: Rancho del Largo, Santa Rita and Tubac Golf Resort & Spa in Tucson. The two latter courses were used in the 1996 movie Tin Cup, starring Kevin Costner, Don Johnson and Rene Russo. In the Phoenix area, play Trilogy and Cimarron in Surprise. 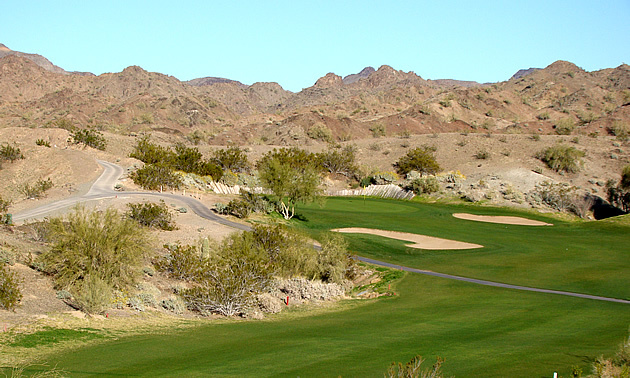 In Yuma, play Mesa del Sol and Las Barrancas. Lake Havasu has The Courses at London Bridge. The most beautiful course in all of Arizona is Sedona Golf and Resort, surrounded by picturesque red rock mountains. As golfers know, early bird and twilight rates are cheaper, but all of the above mentioned courses are between $50 and $100 during prime time. My favourite golf course in all of Arizona, however, is Emerald Canyon between Parker and Lake Havasu. Golf Digest magazine lists Emerald Canyon in the Top 100 public golf courses in the United States. Stay at the La Paz County RV Park and just walk across the street to the golf course. You will be playing in, around, up and down the canyon. A golfing treat! 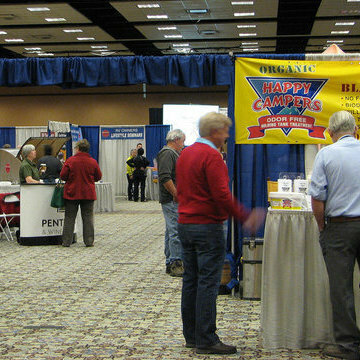 April 21st to April 23rd will see the 6th annual BC Interior RV Show taking place at the Penticton Trade & Convention Centre and the South Okanagan Events Centre and the BC Interior RV Society is looking to the community for volunteer support. Jeanette and Dennis Vieira decided that life is too short for wasted time—so they started RVing.